...LoveIn My Blacky - Gary Ling, Digital Producer, Data Monetiser, Political Savant, Information Economist, Solution Seller, Business Strategist. 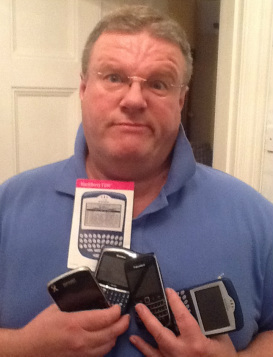 A Forlorn CrackBerry Addict Gets It Off His Chest! The same piece asked: What's more is it not beyond the wit of the Digerati to put together a deal that keeps the USPs of RIM and combines them with an APPs universe?